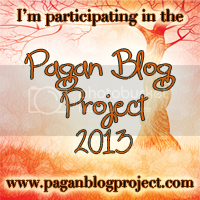 I am participating in the Pagan Blog Project 2013, where bloggers write about a relevant topic once per week, based on the letters of the alphabet. As my posts go live, this will become an archive of direct links. I am including all the topics I plan to write about, however, they are subject to change. I am glad you enjoyed it! Mapping them out helped me, but I already am straying pretty far from the topics I list. But it feels nice to have it as a safety net.